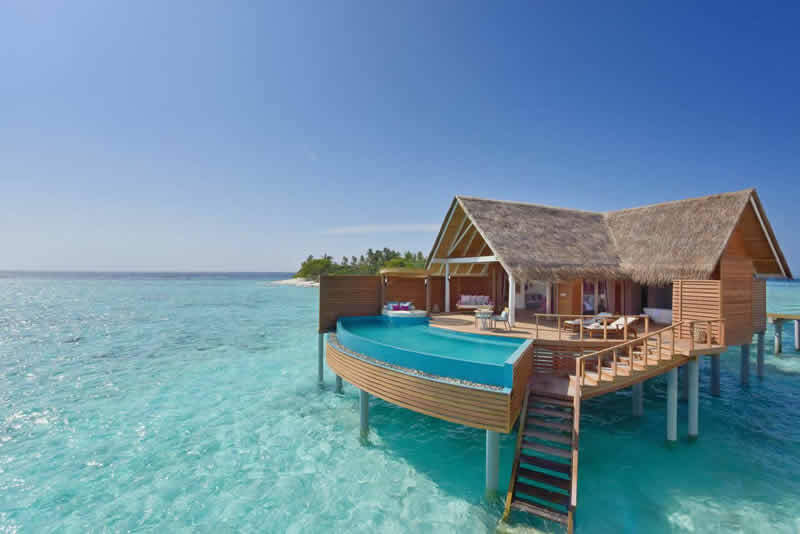 The best water villas in Maldives offer you a holiday experience with unique designs, luxury amenities, sense of privacy, and the added feature of doors opening to a sea views to-die-for. 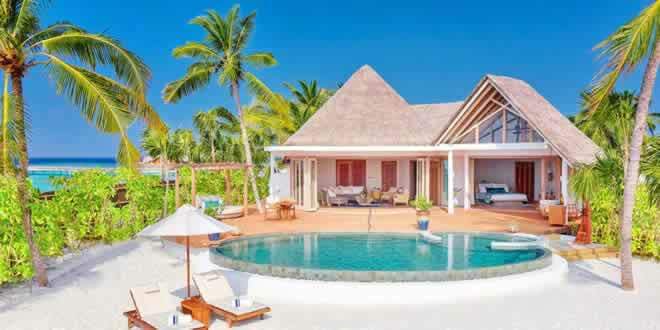 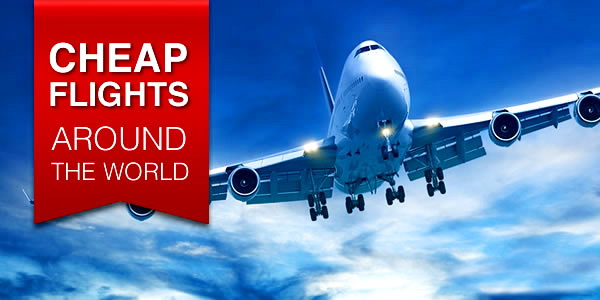 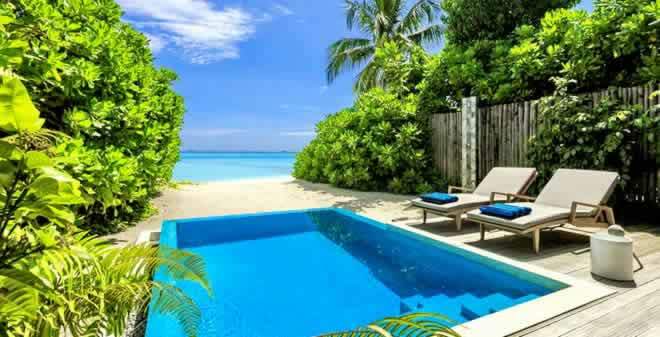 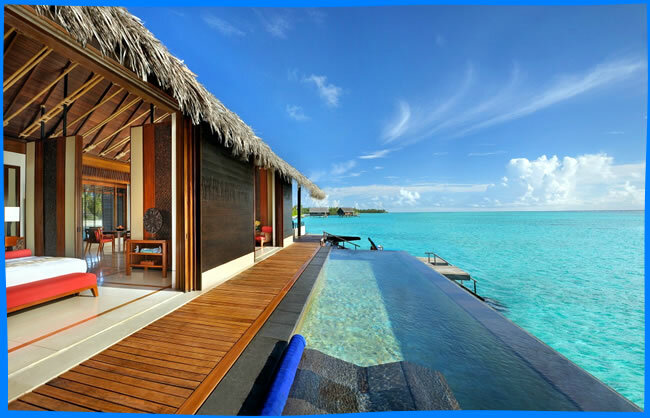 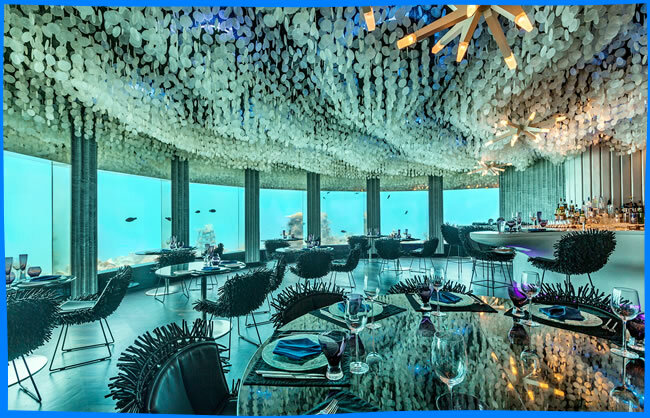 These are easily the best accommodation you can go for a holiday in Maldives, especially for longer stays, with a range of personalised services that you can enjoy in the conveniences of your own compound. 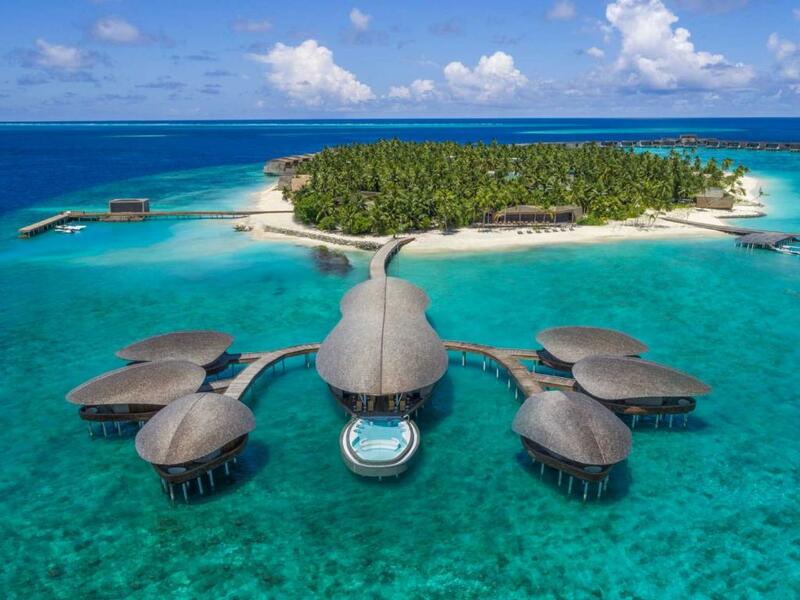 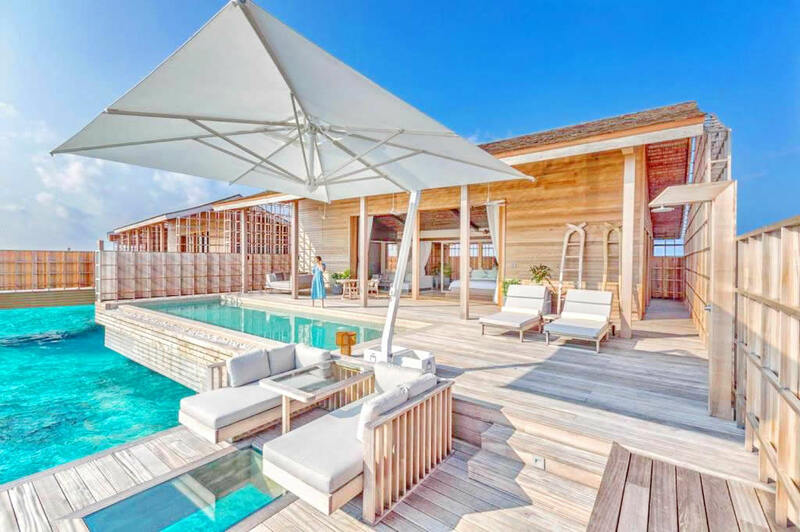 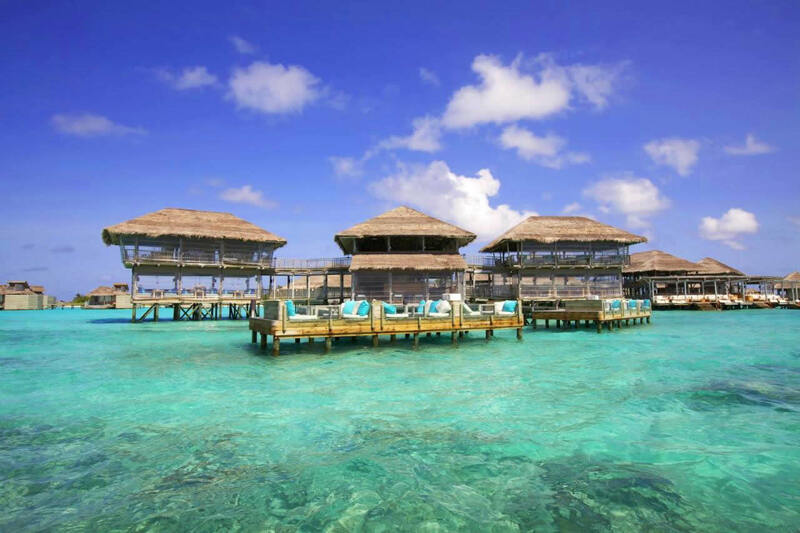 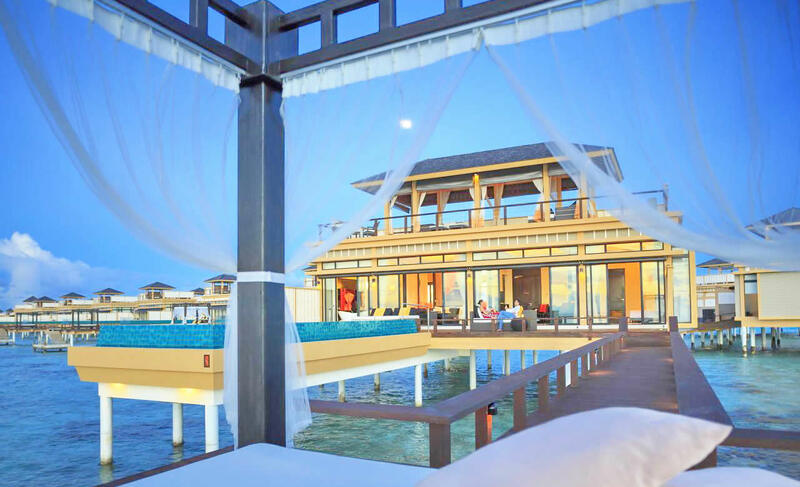 These selections of Maldives' most popular overwater villas represent accommodation options suited not only for couples and honeymooners, but are also available with options for families and groups. 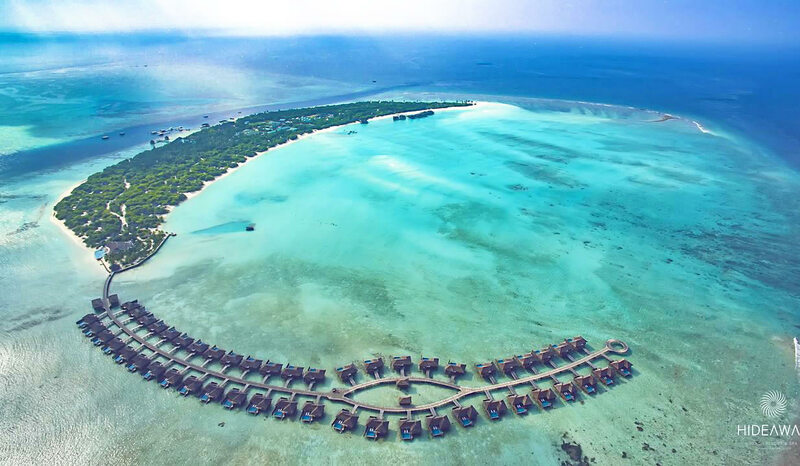 Stay in a luxurious bungalow or villa located above a beautiful lagoon, the dream of the most discerning travelers and many couples in Maldives. 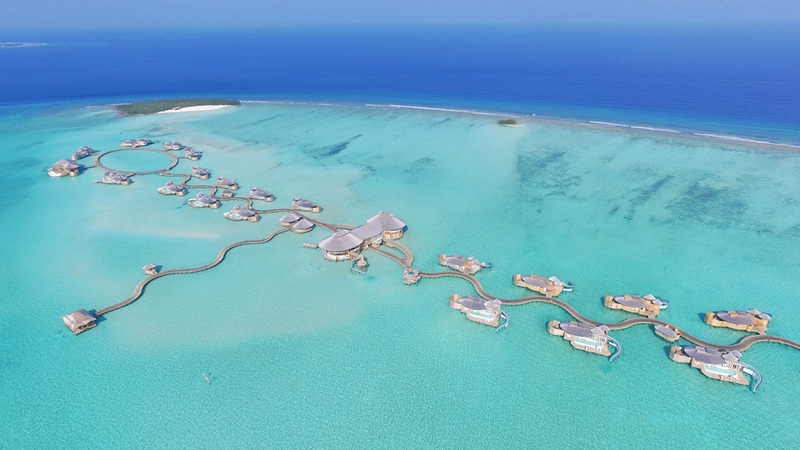 Indeed, it is difficult to resist the desire to get accommodation in the prestigious rooms of a water villa over turquoise waters, where swimming and snorkeling is literally on your doorstep. 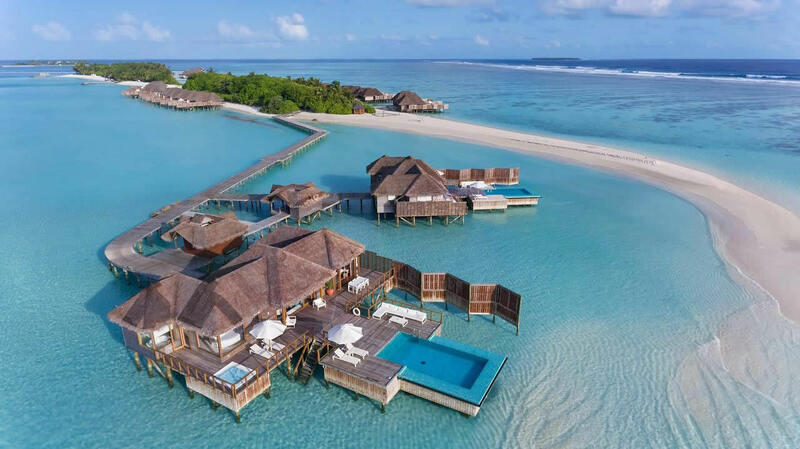 We've gathered the 10 best private water villas in Maldives' distinguished resorts for your consideration, which offer more than what you would expect from a typical resort guestroom. 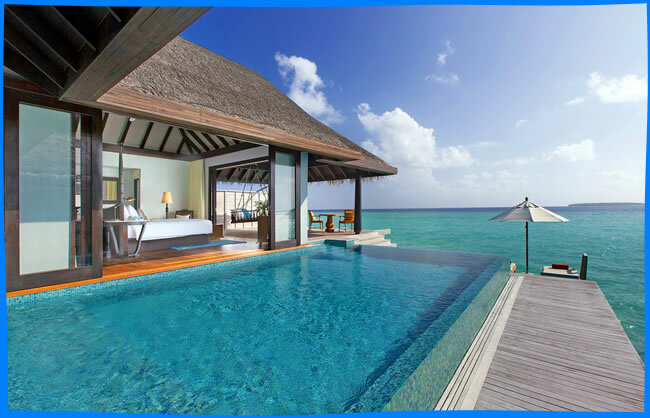 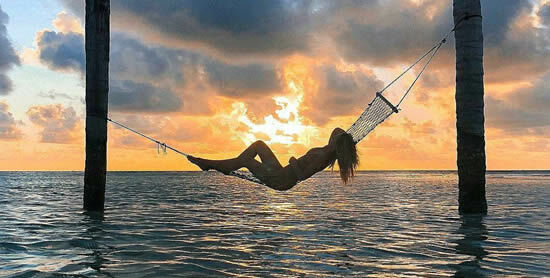 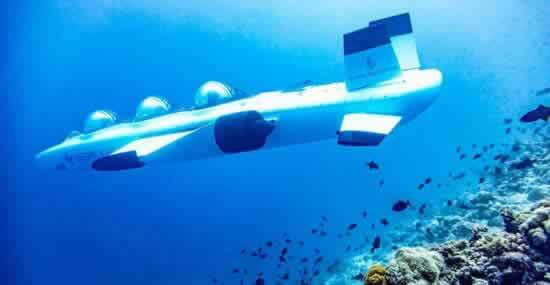 Enjoy your stay and take the ‘plunge'!